It’s exactly as some strange esoteric websites have told you for decades: Quantum physicists manipulate nothing. This is the case NOT because there are no quantum objects, but because there is no nothing. Literally. We cannot produce a perfect vacuum. And that’s not because our pumps or our containers aren’t strong enough, it’s because there is no vacuum, there is no void. 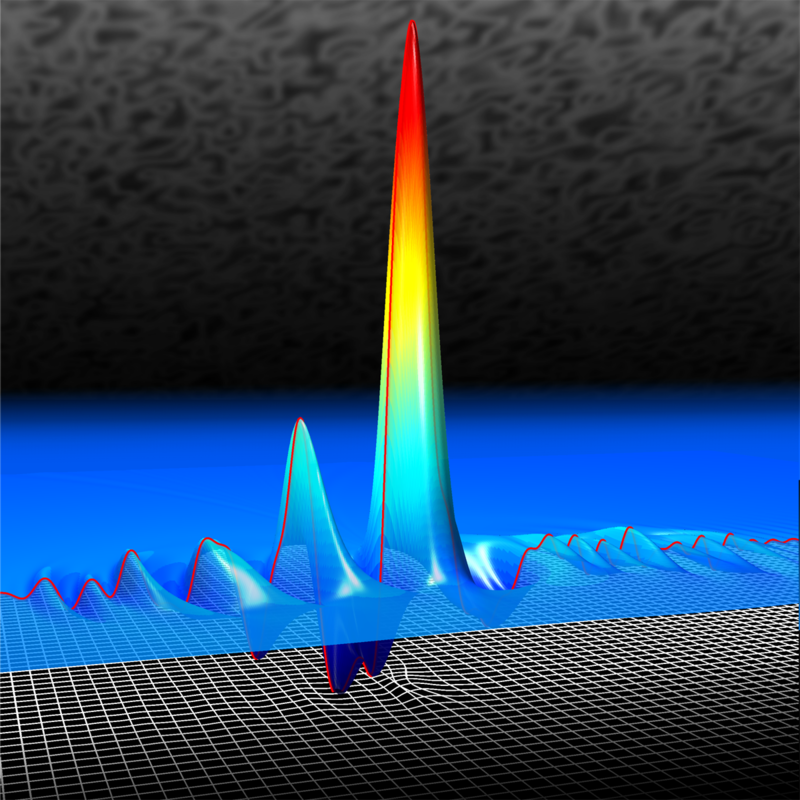 Heisenberg’s uncertainty principle predicted quantum fluctuations. Particle-antiparticle pairs jump into existence and fade away constantly and temporarily change the amount of energy at the point of their emergence. Harmless as it sounds this phenomenon is at the root of our understanding why the universe is exactly like we experience it. According to the model of inflation these quantum fluctuations are the seed to the structure of everything in our universe, even more: They may be responsible for the acceleration of its expansion. There is only one problem. Let’s call it the quantum problem. We cannot measure any quantum system without changing it. Quantum fluctuations explain a lot of what we observe, but we could not proof their existence. Hendrik Casimir predicted an effect in 1948, which is now called the Casimir effect and was the first evidence we could find on these strange phenomena. And the first use of a quantum vacuum. A team of physicists at the university of Konstanz, led by Alfred Leitensdorfer, may have found another piece of the puzzle in 2015. They fired tightly focused laser pulses lasting only a few femtoseconds and measured a distinct change of a few percent in the noise of the laser shot. This they attributed to the influence of quantum fluctuations. Steve Lamoreaux, a physicist at Yale University, and one of the first to observe the Casimir effect, doubts that results. The measured effects could be caused by other sources, like thermal fluctuations or the material used in the setup of the experiment. But in a paper published on the 13th of January 2017, the team of Alfred Leitensdorfer took their system even a step further. They changed the quantum vacuum itself. Just like John Teufel and its team „squeezed“ light in our last blog post, the team from Konstanz “squeezed” the vacuum itself. This allowed them to measure the effect of the fluctuations without the need to interfere with the photons in it. Instead the squeezing changed the distribution of fluctuations inside the vacuum which could be recorded by using a very, very exact stop watch. Yes. It sounds fascinating and would give us a new solution for the “quantum problem”. You can find the paper here (link) the statement of the team at the website of the university of Konstanz here and a very good explanation of both here. Time, Vacuum – what could we “squeeze” next?